Each pillowcase has a lovely message printed on the bottom right hand corner. 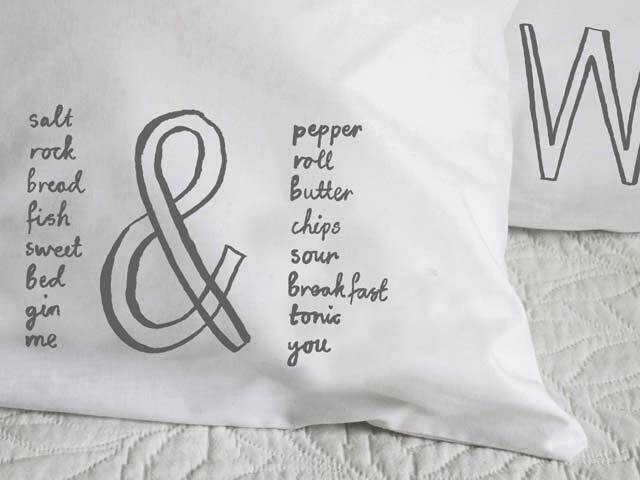 These charming pillowcases are a great gift idea to show your loved one how much they mean to you! 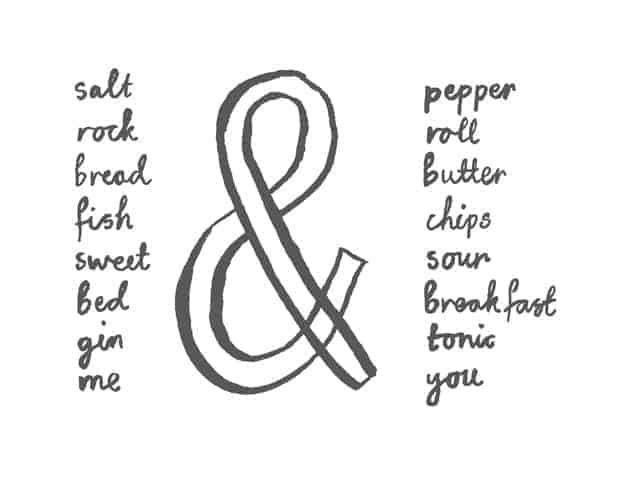 This one mentions all the good things in life that match perfectly together like ‘Rock & Roll’, ‘Gin & Tonic’ and ‘me & you’. Pillowcases sold separately (not as a pair). 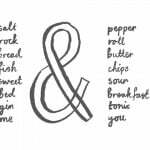 Select 2 messages and mix and match too make a quirky set! Screen printed with grey ink onto cotton rich white pillowcase. Handprinted in England. Machine washable at 40 degrees. Standard UK size: 50 x 70cm.